To get a proper exposure and to avoid underexposing or overexposing your photograph, the camera meters the amount of light hitting your subject and makes a quick calculation based on it to tell you the reading of a certain scene. It is pretty much like how we see with our eyes. The light hitting the subject is reflected into the lens and the camera makes a judgement based on it to tell us our exposure value. To evaluate this, the cameras usually have three or four metering modes built into them. 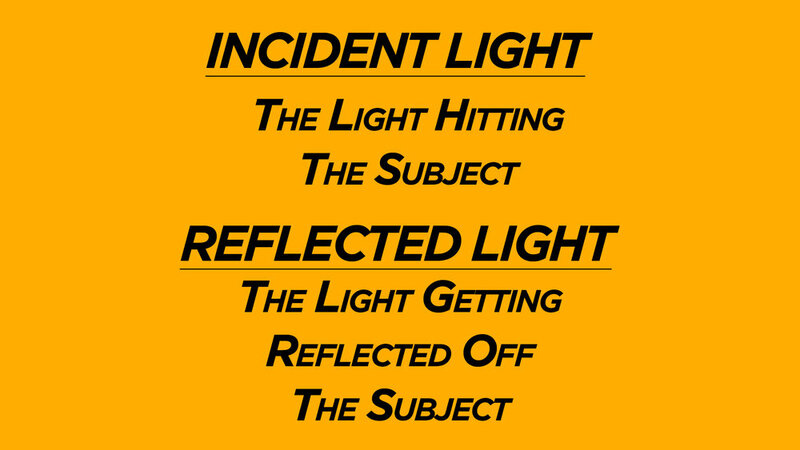 The amount of light falling on the subject is called incident light and the light bouncing back off, after hitting the subject is called reflected light. Traditionally, light meters like the one shown below are used to measure the amount of light falling on a subject. So technically, they are often referred to as Incident Light Meters. Though some of them also have the capability of measuring reflected light. Cameras on the other hand measure reflected light - the light bouncing off the subject and entering the lens. The problem with metering reflected light is that not all colours reflect back the same amount of light - though the amount of light falling on them might be the same. What are the different metering modes? 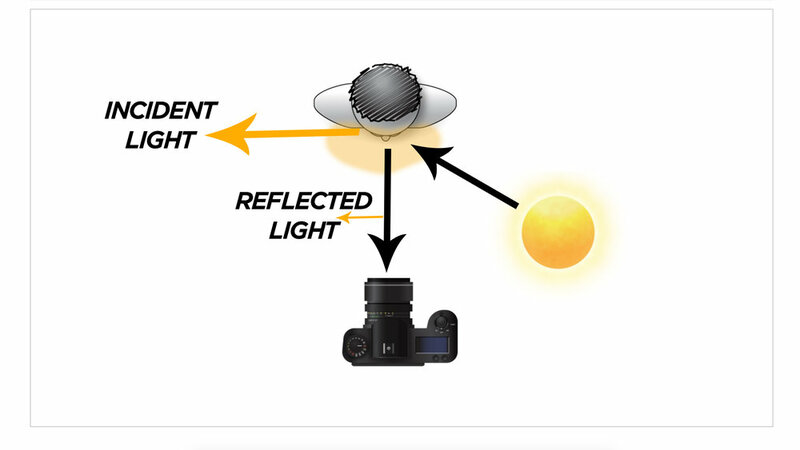 Usually, every camera has three metering modes, whether it is a Canon, Nikon, Fuji or Sony. They just call it by different names to confuse us. 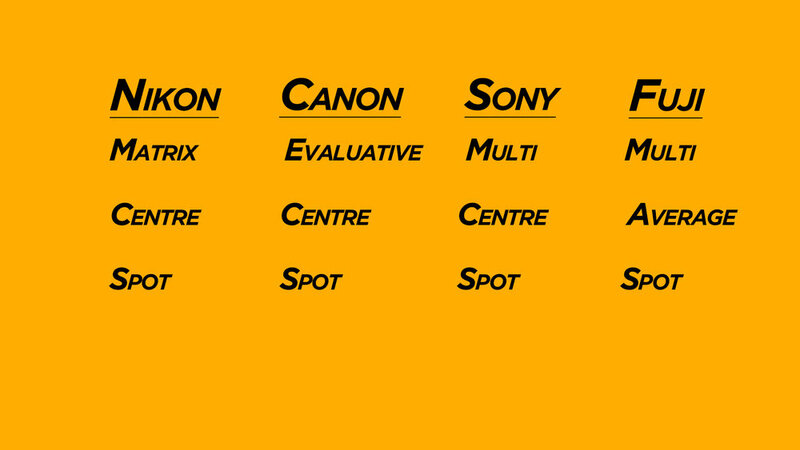 As you can see from the chart below, different camera companies refer to this metering mode by different names. It is an extremely complex and advanced metering mode and is accurate 90% of the time. Matrix metering evaluates multiple segments of a scene to determine the best exposure by essentially splitting the scene into sections, evaluating either 420-segments or 1,005 segments, depending on the Nikon D-SLR in use. The 3D Color Matrix Meter II takes into account the scene's contrast and brightness, the subject's distance (via a D- or G-type NIKKOR lens), the color of the subject within the scene and RGB color values in every section of the scene. 3D Color Matrix Metering II also uses special exposure-evaluation algorithms, optimized for digital imaging, that detect highlight areas. The meter then accesses a database of over 30,000 actual images to determine the best exposure for the scene. Once the camera receives the scene data, its powerful microcomputer and the database work together to provide the finest automatic exposure control available. 30,000 images! Imagine that! I suspect that the other camera makers have similar complex technology working in their cameras as well - they just haven't shared it with me yet! 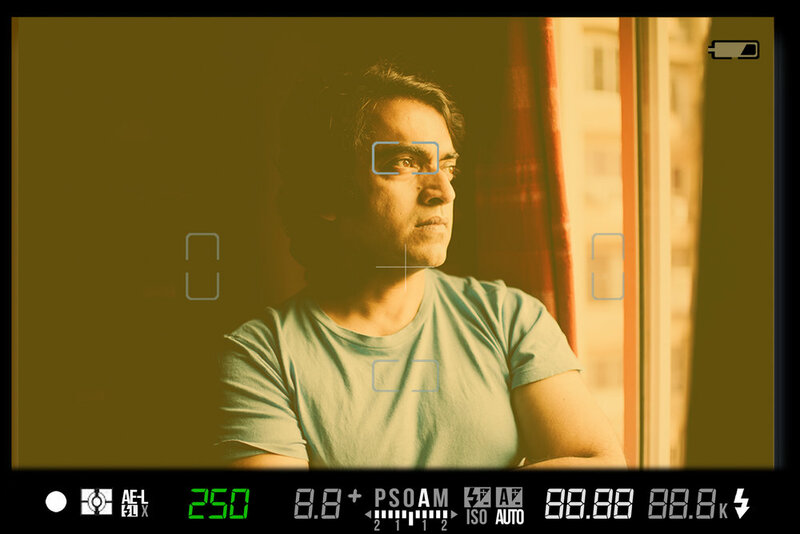 The image below shows a camera in Matrix, Evaluative or Multi metering mode where the yellow overlay represents the entire frame being covered and analysed. 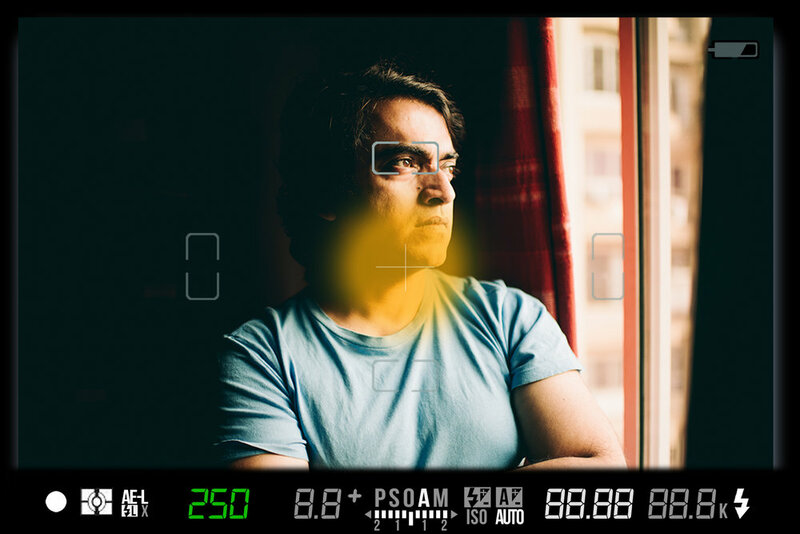 In this metering mode, only the centre reading is taken as depicted by the yellow overlay in the photograph below. In some cameras, you can control the size of the centre which gives you more control over your photographs. In this mode, the camera takes the reading only from the spot that you have selected and practically ignores the rest of the frame. Spot metering mode is an extremely precise mode and it can give some fantastic results under some conditions. In addition to this, some cameras might have a partial evaluative or some other nonsensical metering mode which I don't bother with and I suggest you don't either. The reason I say this is, the more you stick to the basics of photography and master them and rely less on proprietary technology, the better photographer you will be. In addition to this to this, you will also be able to switch camera models, makes and brands at the drop of a hat. This eventually leads to great freedom - if as a photographer, you can be free of model or brands. You should definitely aim for that. In conclusion, the right metering mode can help you translate the photograph that you have in your mind into reality. I recommend starting with the Matrix metering mode on the Nikon or the Evaluative mode on the can Canon and then slowly start experimenting with other modes to see which one you prefer under what circumstance. Watch the video on metering modes below to understand more about metering modes and please share this article with your friends if you liked it. Please subscribe to our YouTube channel to watch more videos like this by clicking the banner above. 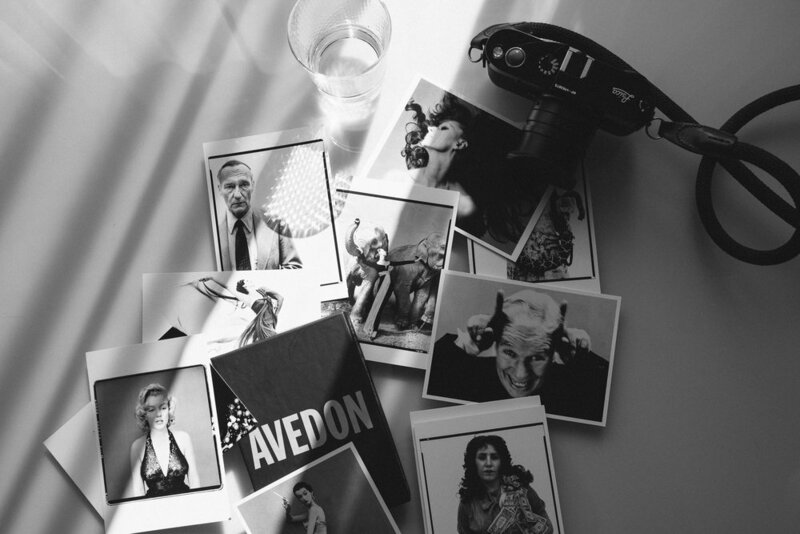 You can also register and join our forum to share photographs, ask questions or seek advice or critique from us or other fellow photographers.